anthonyBarnum is a national public relations and social media firm serving complex industries including technology, real estate, professional services firms and health care. Our approach is distinguished by the ability to create systematic campaigns with quantifiable and measurable results that impact companies’ most critical marketing objectives. As CEO of anthonyBarnum, Melissa Anthony focuses on establishing a vision for public relations and social media designed to serve organizations’ most important business objectives. Known for her direct and analytical approach, she leads the firm’s business strategies, market offerings and distinct data-driven methodologies. With 20 years of experience in public relations, the native Texan began her career in New York City where she held positions at renowned firms, including Access Communications and Ruder Finn. She has represented the Czech Republic in its accession to the EU, several of the largest companies in the world, and collaborated with numerous visionary leaders and entrepreneurs to distill their objectives into meaningful public relations strategies and results. 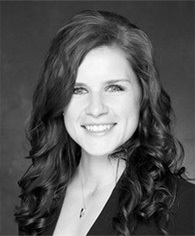 Melissa has served on the boards of Greater Austin Chamber of Commerce and Central Texas Food Bank. She is recognized by Austin Business Journal as one of the most powerful women in business in the region and has received numerous awards for her civic contributions in support of veterans. Known for her systematic approach and unparalleled ability to drive results, Leslie has nearly 15 years of experience developing and executing successful campaigns for clients. She began her career in New York City working at one of the top 10 independent public relations agencies in the country, DKC News. 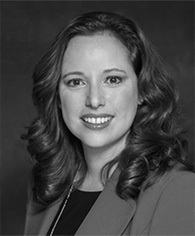 At anthonyBarnum, Leslie works on high-impact public relations activities for technology and complex professional services clientele. She works together with high-growth marketing and C-level executives to execute their communication initiatives while managing high-performance public relations teams. In addition to leading campaigns, Leslie develops key operational processes for the firm, and oversees and mentors junior team members. 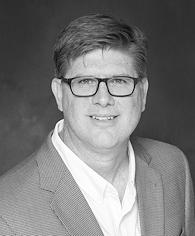 With more than a dozen years of experience in strategic communications, Matt leverages his wide range of expertise to create breakthrough, category-defining public relations strategies. 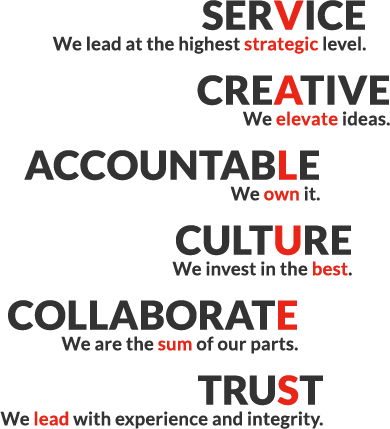 Matt strategically partners with companies to architect and execute successful tier one national media campaigns. He specializes in synthesizing key concepts and issues for some of industry’s most complex sectors. While at anthonyBarnum Matt has created leading-edge strategies for global technology companies and emerging category creators spanning new forms of computing input, advanced technologies for the healthcare sector and new concepts in transportation. Matt began his career in public relations working on behalf of the Office of the Governor Bobby Jindal in Baton Rouge, Louisiana where he assisted in the creation of strategies to align constituents and law makers. Bryan has more than 15 years of experience in marketing communications, strategic planning and branding. He has been recognized by the Public Relations Society of America and American Marketing Association for developing marketing strategies that solidify customer and key stakeholder relationships through authenticity, trust and conversations. As an account director, Bryan is responsible for campaign planning, execution, measurement and analysis – all to achieve predefined strategic goals for anthonyBarnum clients. He oversees a high-performance account team to drive results and ensure maximum client visibility and relationship building with priority stakeholders. 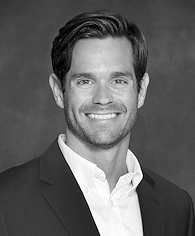 Prior to joining anthonyBarnum, Bryan spent 10 years at San Diego-based Nuffer, Smith, Tucker Public Relations, executing successful omni-channel marketing campaigns for leading B2B and industrial brands, including General Motors and Sony Electronics. As account supervisor, Mikala is charged with executing campaign strategies aligned with the business and marketing priorities of anthonyBarnum clients. She serves as both advisor and leader on the totality of the campaign, and is ultimately responsible for campaign outcomes. An award winning media strategist and social media architect, Mikala works on high-impact public relations activities for real estate, technology, legal and professional services clientele. In addition to achieving effective campaigns for clients, Mikala trains the production team in anthonyBarnum’s methodology, and develops collaborative relationships with influential, market shaping reporters. 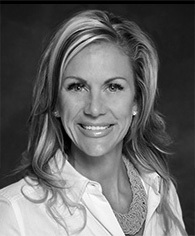 Amanda Abbott has more than 20 years of experience as a broadcast journalist and as a public relations executive. From interviewing three presidents to architecting complex PR strategies, her experience is vast. Amanda leverages her extensive background to help companies reach strategic and multifaceted public relations objectives. Her areas of expertise include media training, crisis management and complex visibility strategies. 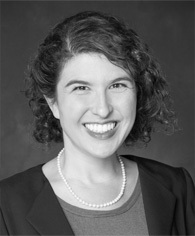 Amanda also has a finely honed understanding of how to successfully navigate a broad range of legislative and regulatory issues facing corporations, associations, nonprofits and individuals across multiple industries. As a broadcast journalist, Amanda earned multiple Emmys for her investigative work. She’s currently active with the Susan G. Komen Foundation, Sunshine Kids and HelpingHand.